Plum Honeychurch > Blog > Plum Honeychurch > What can you do with broken vintage crockery? Accidents happen and with every cloud there is a silver lining. Having a quick search on Pinterest for ideas I have found some beautiful designs using the broken pieces of bone china and other vintage crockery. Your lovely teacups and cake plates can live on in a new guise. 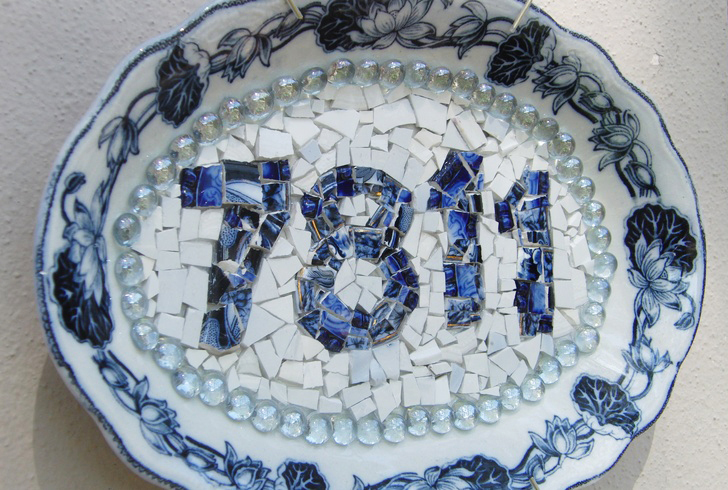 Here is a house number created from broken piece of blue porcelain glued to what looks like a small serving platter with glass pearls as a border. This is a unique house number that will always remind you of the crockery you used to make it every time you come home. Sugar skulls are very current and you can find skull designs in most high street shops at the moment but if you make your own skull creation you won’t find it in any other outlet and you will have an original piece that you can display with confidence knowing no one else has the same one. 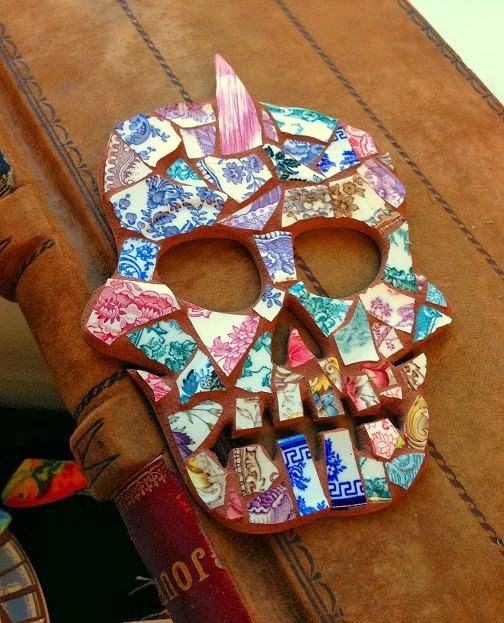 Although the skull in the image below is not a typical Mexican design it still has the feel of the day of the dead. 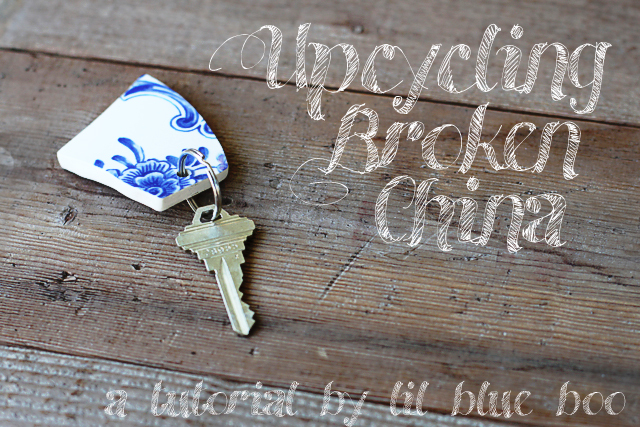 Using a broken willow pattern plate to make a key ring, great idea for wedding favours. Don’t panic if you’ve broken the crockery you were planing to use for your next tea party or big event, you can still hire all the crockery you would need for the day from us. We also understand that accidents happen and if you happen to have a mishap with one of our pieces please don’t worry these things happen and it will give me a chance to make some more key rings for Christmas. Hire all the china and crockery you need in Berkshire, Surrey and surrounding areas for afternoon tea from Plum Honeychurch.